Before undergoing a skin rejuvenation treatment, an assessment by a trained esthetician and a physician is important in order to make the right diagnosis and treatment plan. We also offer a Photo Skin Complexion Analysis during our assessment. This is very important to have an objective determination of skin damage (sun spots, pores, roughness, wrinkles, acne and moisture). This is a very valuable tool to assess improvement after the treatments. Regular home skin care, sun protection and facials help to slow down the environmental effects in our skin. Pico Laser is an advanced ultra-short, picosecond, laser treatment for acne scars, wrinkles, dark spots (also known as pigmentation or benign pigmented lesions) and tattoo removal that can transform your skin. Because Pico Laser uses a photoacoustic effect that reaches under the top layer of skin, rather than working by heating the skin, Pico Laser, patients have low to no downtime after treatment. Pico Laser uses several different laser handpieces to achieve results. Pico Laser treatment uses a laser handpiece that splits the main laser beam into smaller, identical beams for treatment of acne scars and wrinkles. Did you know that nearly 40% of those with acne have some degree of scarring? Many acne scars result from a loss of collagen in the skin. Pico Laser is an ultra-short, picosecond laser that reaches below the surface of the skin to stimulate production of collagen and elastin, without breaking the outermost layer of the skin. Pico Laser is a non-invasive, needle free treatment option for wrinkles. Pico Laser uses ultra-short laser pulses to reach under the skin, without breaking the outer layer of the skin. Picosecond lasers are proven to stimulate collagen and elastin. In clinical studies, there were high rates improvement and patients had high rates of satisfaction with results. Because Pico Laser does not break the outer layer of the skin, patients have low to no downtime following treatment. Pico Laser is a high power, ultra-short pulse laser that reaches below the skin’s surface to break unwanted dark spots into tiny particles. Pico Laser is highly effective in skin pigment removal. Many patients see visible improvement following the first treatment. PRP, or “platelet-rich plasma,” is a revolutionary new procedure that uses cells from your body for facial rejuvenation. It is commonly known as the “Vampire Facelift.” This treatment uses a component of your own blood to reverse some of the many skin changes that occur with aging. It is also well-known by professional athletes as an excellent modality to repair sport and musculoskeletal injuries. 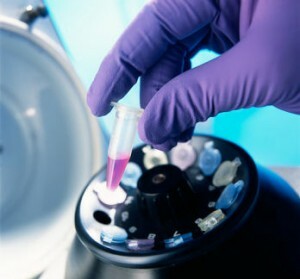 We also use stem cells in combination with PRP in some treatments to further promote healing. Platelets are a specialized type of blood cells commonly associated with blood clotting. Blood is made up of 93% red cells (RBCs), 6% platelets, 1% white blood cells (WBCs) and plasma. After an injury, platelets are involved in clotting so we stop bleeding. But after this initial job is done, platelets are very involved in wound healing. Human platelets are naturally extremely rich in connective tissue growth factors. They release these factors to first clean the wound, then bring new blood vessels and stem cells into the area, stimulating their organized growth. They also stimulate our skin cells to divide and “cover” the wound. Injecting these growth factors into damaged ligaments, tendons and joints stimulates a natural repair process. But in order to benefit from these natural healing proteins, the platelets must first be concentrated. In other words, PRP recreates and stimulates the body’s natural healing process. This preparation is done in our office. Blood is drawn from the patient (just like getting a blood test) and placed in a special centrifuge. The centrifuge separates the red cells, and the remaining platelets and plasma are then highly concentrated. The red blood cells are discarded, and the resulting platelet concentrate is used for treatment. This process takes approximately 16 minutes. The resulting PRP solution is then mixed with Calcium Chloride to “activate” the Platelets and make them release the “Growth Factors.” The resulting gel type solution is then injected into those areas requiring treatment. The PRP gel will initially “voluminize” the area, decreasing wrinkles, plumping the cheek areas and filling depressions under the eyes. But it is the rejuvenating effect caused by the growth factors that will slowly cause the long-term improvements. The skin will gradually look thicker and firmer, with increased moisture. Deep creases will soften and fine wrinkles will disappear. Brown/age spots will become less evident. Can We Further Increase Facial Volume Lost with Aging? According with the patient needs, additional volume to the face can be added at the time of the PRP procedure by using facial fillers. This technique has been called by some the “Vampire Facelift,” a new technique using the patient’s own fat with adiposed derived stem cells, allowing for larger fill, when fat loss is significant. PRP uses the patient’s own blood, so allergic reactions or rejection are non-existent. Duration on improvement of deeper wrinkles last 12-24 months, but the benefit on fine wrinkles can last up to three years. The procedure may need to be repeated after a year, depending on the initial skin aging. It’s a simple procedure that allows patient to return to work/social activities within 24 hours. Major side effects are mild swelling for 24-48 hours and possible bruising. Cost can be much less that some laser treatments or fillers. This was developed to improve acne scars, pox marks and scars from accidents or disease. It’s not effective in treating congenital skin defects, most moles, pigmented birthmarks or scars caused by burns. Fractional laser (non ablative and ablative) can be used with similar indication. People with tendency to hypertrophic scars are not good candidates for fractional ablative laser or dermabrasion. Microdermabrasion works on all skin types and colors. It makes subtle changes, causing no skin color change or scarring. It is not effective for deeper problems such as scars, stretch marks, wrinkles or deep acne scars. With microdermabrasion, there is less down time than with dermabrasion. Skin is temporarily pink, but fully recovers within 24 hours. It doesn’t require surgery or anesthetics. That may help people who cannot take downtime for healing. Our glycolic peel has a low pH (0.6) with little to no irritation. This glycolic peel provides an extensive exfoliation of the skin to provide a myriad of benefits, including reduction of skin hyperpigmentation and uneven skin tone, skin mottling, acne scars, sun damage and other skin imperfections. It also increases the production of collagen and elastin to reduce the appearance of fine lines and wrinkles, and it improves skin tone and elasticity, as well. Results may be seen in many cases after your first treatment, even if you have sensitive skin. It can be used on the face, neck, hands and chest. Over time, exposure to sun, stress, and environmental aggressors can cause signs of premature aging, such as unwanted pigmentation, dull skin, and wrinkles. Skinceuticals Professional Peels use optimized combinations of pharmaceutical-grade acids in various strengths to deliver effective, customized results with minimal to no downtime. They stimulate cell turnover and strengthen skin’s structure to reduce pigmentation, smooth skin texture, and improve radiance. These peels are also effective in reducing acne by decreasing oil and enhancing surface exfoliation to decongest clogged pores. Following your 1st treatment, skin texture will be noticeably smoother, with improved skin brightness and clarity. Unlike other peels, you will experience minimal to no downtime. They can be done once a month. For optimal results, a series of 4-6 peels is recommended, particularly for acne-prone skin or stubborn discoloration. After 4-6 peels, you can expect a significant improvement in skin tone, discoloration, and the appearance of fine lines, wrinkles, and laxity, depending on your concern and peel. Skinceuticals Professional Peels are designed for maximum customization to fit individualized skin needs, and to evolve over time as your treatments and skin concerns change. They can also be used in conjunction with clinical procedures such as lasers and injectables for complementary results. The HydraFacial® resurfacing procedure thoroughly cares for your skin, providing cleansing, exfoliation, extractions and hydration. It includes Vortex-Fusion® of antioxidants, peptides and hyaluronic acid. The HydraFacial® is a non-invasive, non-surgical procedure that delivers instant results with no discomfort or downtime. The procedure is immediately effective.